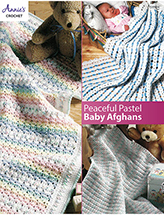 Wrap your precious cargo in one of two pretty baby blankets! 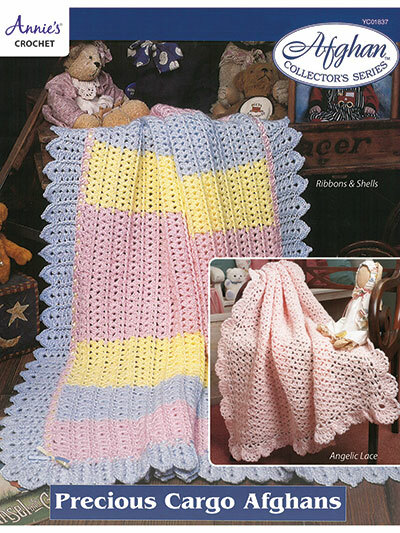 Angelic Lace and Ribbons & Shells designs are included in this pattern pack. 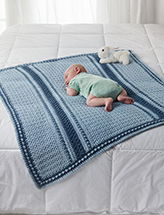 Each are made using worsted-weight yarn. Pretty shells make up the bodies of each design along with V-stitch and front and back post stitches. Add the unique borders and you have a beautiful piece. 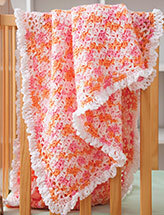 Size: Angelic Lace: 36"W x 38"L; Ribbons & Shells: 42"W x 47 1/2"L.